Our thoughts are with those on the Carolina coast and throughout the Carolinas as Hurricane Florence prepares to make landfall. Asheville is about 300 miles from the coast and we do not expect to see the effects here until late this weekend. Some of this weekend&apos;s events have been cancelled. Those cancellations are indicated below. 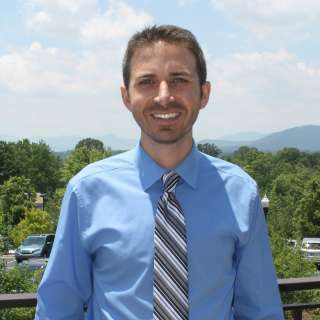 Other events including the North Carolina Mountain State Fair, Art in Autumn Festival, FEI World Equestrian Games, Open Art Studio Tour in Grovewood Village and Make and Mingle Event at The Asheville Museum of Science, are still happening as originally scheduled. As we continue to track the rapidly changing information regarding this storm, we will post updates on our weather alerts page. From fair rides to mountain music, livestock shows to arts competitions, the North Carolina Mountain State Fair offers something for people of all ages! 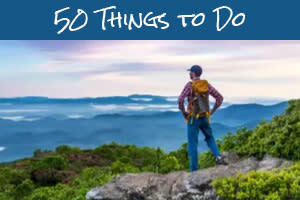 The 10-day fair is also a celebration of the agricultural traditions of western North Carolina. 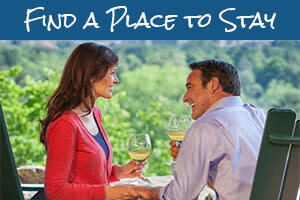 Check the NC Mountain State Fair’s website for hours, ticket information and special promotions. 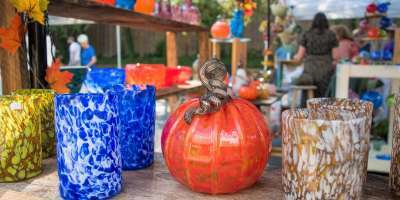 Saturday (Sept. 15), 10 a.m. – 6 p.m.
Nearly 115 juried artists and craftspeople come together in charming Weaverville, just seven miles from downtown Asheville, as part of the 12th Annual Art in Autumn Festival. Meet the artists, shop their beautiful works and jam to live music. More than $2000 in prizes will be handed out to the top artists in the show. Weaverville has established itself as a culturally-rich small town and is known for its vibrant downtown, distinctive shops and renowned restaurants. While you’re in town, take some time to explore! Admission and parking are free. The festival will take place rain or shine. 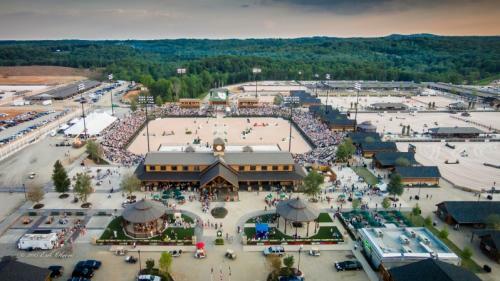 One of the largest sporting events in the world of equestrian sports is taking place in the nearby community of Tryon, just 45 minutes southeast of Asheville. Much like the Olympics, the Games are held every four years and are second only to the Olympics in importance on the world equestrian calendar. Eight world championships will be decided during the 14-day event. After hours, it’s the adults turn to explore the Asheville Museum of Science. Listen to great music, drink local craft brews and mingle with like-minded science enthusiasts. Get your hands dirty in the STEM lab making a unique project. With a ticket purchase, you will get a free drink ticket and a handmade object to take home. Saturday (Sept. 15), 11 a.m. to 4 p.m.
Connect with local artists in their studios! The resident artists at historic Grovewood Village will open up their studios to the public this weekend, allowing you to gain insight into their creative process and see their most recent works. Browse original works of art ranging from jewelry to pottery to sculpture. It is free to take the self-guided tour. Brewgrass has been postponed until October 27, 2018 from 1-6 p.m. The event will be held at Salvage Station. If you already have tickets, you will receive an email from organizers who will share additional information for transferring tickets or receiving refunds. Asheville is Beer City USA and Brewgrass is its original craft beer festival. Brewgrass Festival is notorious for showcasing some of the most in-demand and exciting breweries in the region during the past two decades. The Ultimate Air Dogs Competition and Touch-A-Truck have been postponed. Asheville Outlets has announced the Touch-A-Truck event will be postponed to October 27. No new date has been announced for the Ultimate Air Dogs Competition. Join in the family celebration while you shop! During this weekend of free family fun at Asheville Outlets, see the Ingles Ultimate Air Dog Competition, which will be held all three days. The dogs compete in a 90-foot pool in front of Field & Stream. On Sunday, take the kids to the Touch-A-Truck Family Festival. Kids (and kids at heart!) will have the opportunity to see, touch, climb and learn about vehicles of all types. There will even be a helicopter to explore! Admission is $5 to Touch-a-Truck. This annual birding event at Chimney Rock continues to fly to new heights! Flock to the Rock was originally created to help show people why Hickory Nut Gorge is such a premier birding location. It’s grown in size and popularity every year. Now, in its 10th year, the event includes guided bird walks, raptor flight shows, live bird demonstrations, and workshops. Celebrate all things local on car-free streets! Several streets in downtown around Pritchard Park will be closed to automobile traffic to allow for an afternoon of activities on the streets such as yoga, art, pop-up dining and playground games. Local businesses provide the shopping, pop-up cafes, sidewalk sales and snacks. Join in the block party! Mountain heritage takes center stage with craft demonstrations, traditional music and dancing and southern eats! The Blue Ridge Parkway’s Folk Art Center plays host to this free celebration of Appalachian culture now in its 38th year. One of the highlights of Heritage Weekend is the World Gee Haw Whimmy Diddle Competition. A whimmy diddle is an Appalachian mountain toy traditionally made from two sticks of rhododendron. Throughout the weekend, on-going craft demonstrations will include traditional woodworking, weaving, spinning, dyeing, broom making, stone carving and print making. On stage, there’ll be bluegrass and gospel music with local cloggers demonstrating their footwork. Shawn Mullins with Special Guests Jane Kramer and Jeff Thompson – Grammy-nominated artist Shawn Mullins celebrates the 20th anniversary of his album “Souls Core”, which include the No. 1 hit, “Lullaby.” Asheville Masonic Temple, 6:30 p.m. Benefit for Britten Olinger with the Karma Mechanics – Classic rock band playing a benefit to raise money for Montreat College track coach Britten Olinger who was injured in a car crash. White Horse Black Mountain, 8 p.m.
Jonathan Scales Fourchestra – The kick off of their album release tour. Celebrate Jonathan’s birthday with a hometown show. Isis Restaurant and Music Hall, 9 p.m.
Lula Wiles – Powerhouse, harmony-driven trio from Boston playing fiddle, guitar and upright bass. Isis Restaurant and Music Hall, 7 p.m.
Mélange – Group performs a concert that bounces between musical genres with a special, audience-interactive twist. Crowd selects from more than 30 works in 15 different styles. Diana Wortham Theatre, 8 p.m.
Masterworks 1: Wagner, Liszt, Shostakovich – The Asheville Symphony opens the season with an exploration of three visionary and revolutionary composers. Thomas Wolfe Auditorium, 8 p.m.
Belfast Boys – Northern Ireland’s musical ambassadors to the Carolinas. White Horse Black Mountain, 8 p.m. The Artimus Pyle Band – A tribute to the music of Lynyrd Skynyrd. Isis Restaurant and Music Hall, 9 p.m.
Gina Sicilia – Dynamic, blues/country singer and songwriter releases her eighth studio album. Isis Restaurant and Music Hall, 5:30 p.m.
Cody Jinks ***POSTPONED TO OCT. 7*** Award-winning Country music artist playing live on the outdoor stage. Pisgah Brewing Company, 7 p.m.
Photo credits: Top photo by Jason Tarr (artwork shown: Crucible Glassworks). Chimney Rock photo by Jason Tarr. Tryon International Equestrian Center provided by Tryon Resort. Shopping photo provided by Asheville Outlets.